Carciofo Alla Giudecca is a staple dish for centuries the very old Jewish custom from the Romans. 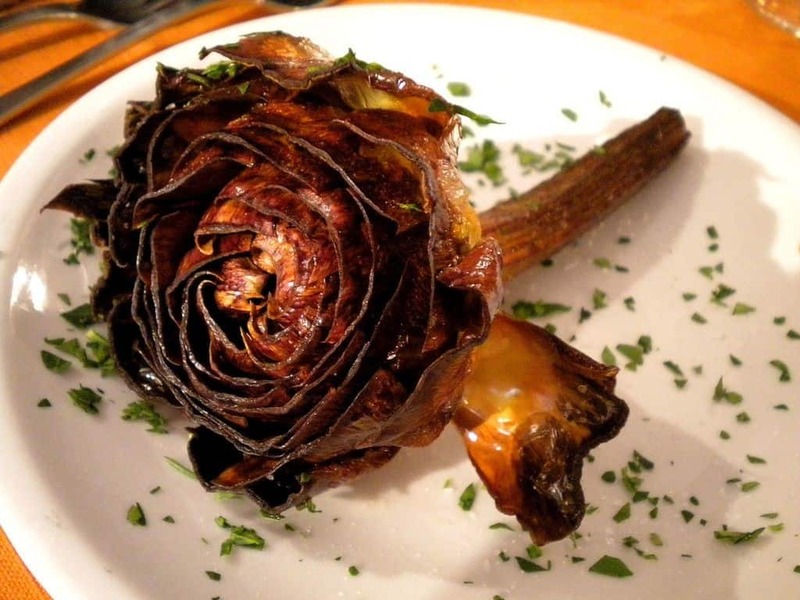 A few months ago the Israeli Rabbinate banned this version of cooking the artichoke in Israel, from restaurants and home tables and saying because it is unkosher. The inevitable problem is that small worms or parasites present in the vegetable are harder to find, remove, making the artichoke not kosher. The Artichoke recipe requires a removal of the hard parts in the artichoke, cleaning with lemon and water and the frying as you can see. Rabbi Yitzhak Arazi says that the heart of the artichoke is full of worms and there’s no way you can clean it. If it was ful of warms though maybe at some point over the centuries, people would have noticed that when eating the artichoke? The Jewish community of Milan followed the Israeli ruling, taking it off their local menues, to be on the safe side. 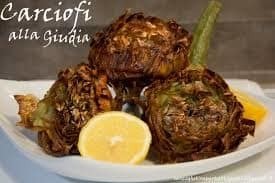 The Roman Jewish community still stands its ground, explaining that the ‘Roman’ artichoke is carefully chosen and have a narrow stem that naturally prevents warms from coming in.